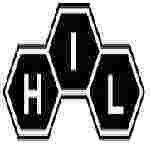 HIL recruitment 2017-18 notification has been released on official website www.hil.gov.in for the recruitment of total 04 (four) jobs out of which 01 (one) for Boiler Foreman, 01 (one) for Boiler Operator, 02 (two) for Electrician vacancies. Apply before 15 Days from the date of Publication. Here on this page you will get the details like the Name of vacancies released by HIL with exact number of posts. Some other criteria like Education details, application fee and way to apply application for HIL recruitment 2017. Educational Qualification: Matriculate or ITI trade Certificate in relevant discipline. Fee charges: Applicants who wanted to participate for HIL should pay the below charges through Demand Draft in favour of “Hindustan Insecticides Limited” Payable at New Delhi. Interested and eligible aspirants may apply in prescribed application form along with attested copies of certificates, testimonials and recent passport size photograph & DD send to Dy. General Manager (HR & Admn. ), Hindustan Insecticides Limited Corporate Office, SCOPE Complex, Core-6, 2nd Floor, 7 Lodhi Road, New Delhi-110003 on or before 15 days from the date of publication.